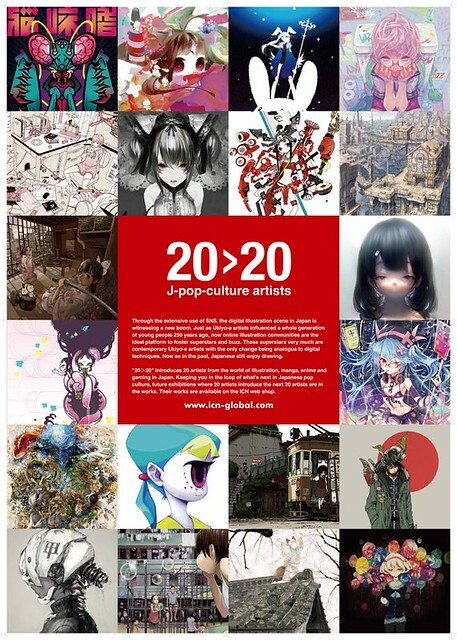 “20>20” J-pop-culture artists is a beautiful showcase of 60 manga illustrations by young artists, showing at the ICN gallery in London now until 28th April. I first saw the exhibition at Hyper Japan earlier this year. 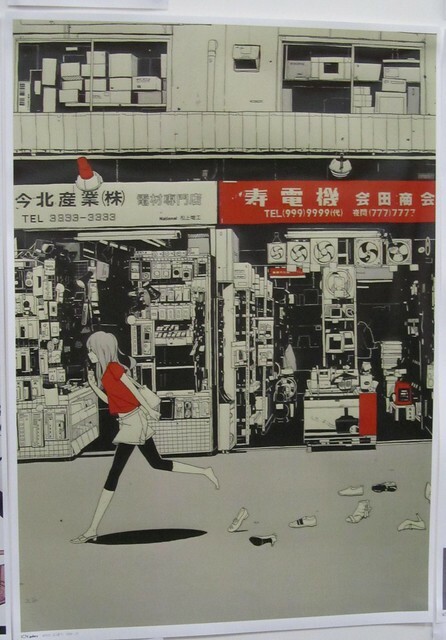 I love how it captures a sense of “real” Japanese life, but with the quirky addition of all those shoes. If only I was allowed to put pictures up in my rented flat I would have bought this one. 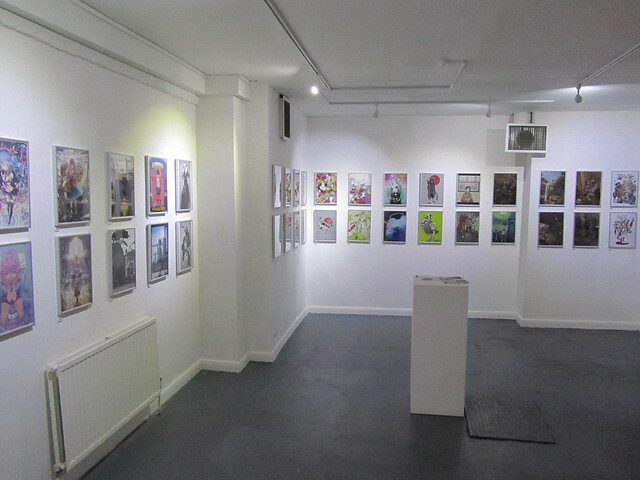 Now, all of the pieces are on display at the ICN gallery in Shoreditch, London. 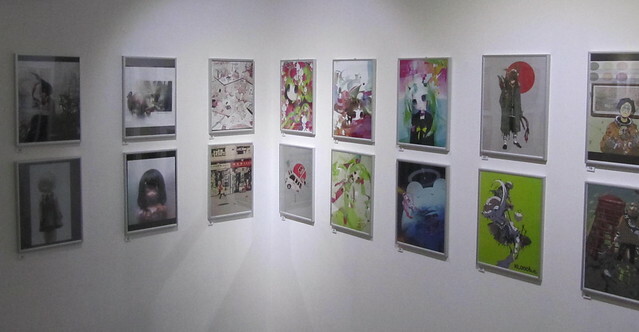 Through the extensive use of social networking sites, the digital illustration scene in Japan is witnessing a new boom. Just as ukiyo-e artists influenced a whole generation of young people 250 years ago, now online illustration communities are the ideal platform to foster superstars and buzz. These superstars very much are contemporary Ukiyo-e artists with the only change being analogue to digital techniques. Now as in the past, Japanese still enjoy drawing. 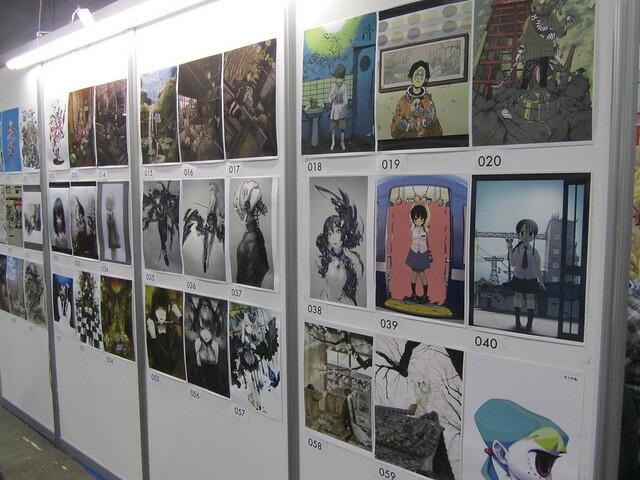 “20>20” introduces 20 artists from the world of illustration, manga, anime and gaming in Japan. Keeping you in the loop of what’s next in Japanese pop culture, future exhibitions where 20 artists introduce the next 20 artists are in the works. 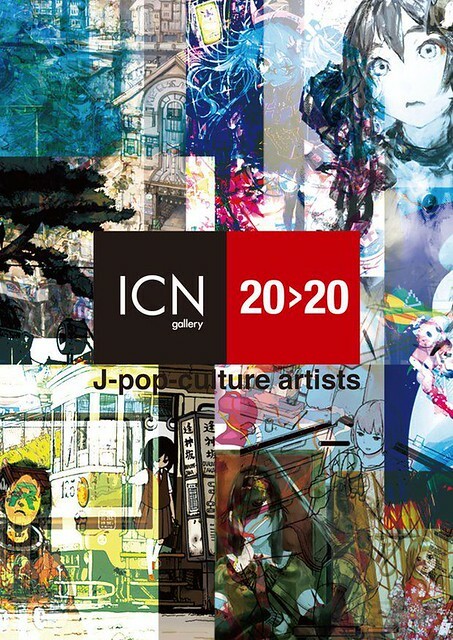 “20>20” is showing in the ICN space at the ICN gallery, alongside the gallery’s main exhibition Part 1 “What is Ukiyo-e?”, which I’ll be writing about soon.